See you At the SOC Chamber for lunch at Villa Roma in Laguna Hills every Thursday @ 11:30. Go NETWORKERS! 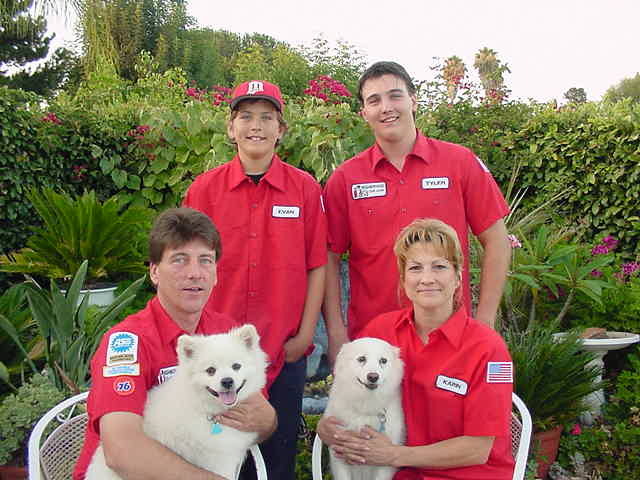 Why is there always one customer, who does not know who NEIGHORHOOD CAR CARE is, acting all HIGH MAINTENANCE? Facebookers & Twitterers! 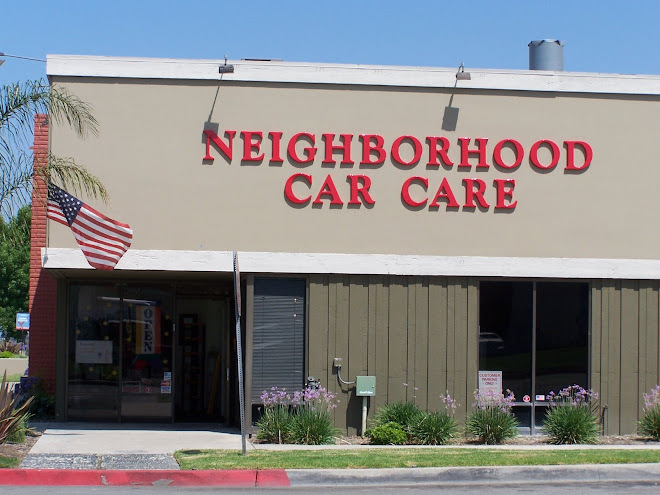 Friends & Followers: YOU GET A DISCOUNT @ Neighborhood Car Care! Just met Stewart B. a Twitter follower @Neighborhood Car Care! Welcome, Very Nice To Meet You & We Thank you for your business! If you had the $ Neighborhood Car Care can save you, Imagine that ANGEL's GAME your kids want to go to! Don't Do the Dealer Mom & Dad! If you had the $ Neighborhood Car Care can save you, Imagine the MILLIONS U could win playing the Lottery! Its Your $. Don't Do the Dealer. Husbands: If you had the $ Neighborhood Car Care can save you, Imagine that VACATION your wife's been nagging about! Don't Do the Dealer. If you had the $ Neighborhood Car Care can save you, Imagine that new PUTTER & your lower handicap! Don't Do the Dealer Golf Lover! If you had the $ Neighborhood Car Care can save you.....Imagine how many SHOES you could buy! Don't Do the Dealer Girlfriend! Monday Maintenance! Coffee, WIFI, Oil Change with full safety inspection, Cookies and about 45 minutes! Oh, & Peace of Mind 949 707 5991. Please don't hold the New Jersey Housewives against we who don't have a bag of rocks for brains & happen to come from the same state. Friends don't let Friends work on their cars! That goes 4 boy friends with egos, uncles, fathers. Triple the cost to fix it right yesterday. Passionate about $aving U $CA$H so U can Avoid Dealer prices WHERE EVER U Live! I'm Wearing the Super-Hero Cape! Call Me 4 A 2nd Opinion! The only time you DON'T want to be Hot is when you A/C is on the FRITZ! Does Your Car's A/C BLOW? Get 'er Done! Your car is no CHICK MAGNET, if all it attracts is a TOW TRUCK...give 'er a little attention @ Neighborhood Car Care. See you at the SOC Chamber Lunch Today @ 11:30 @ Villa Roma in Laguna Hills near the 5. We have a New Board, come check out the NETWORKERS! $15 off A/C Service, call store for details! So the consumer has to spend more money before the 50K or so miles the tires were supposed to last! To add to that, they are UNSAFE! New tires won't wear properly if the vehicle is not aligned. They start wearing improperly and become worthless in a very short time! People lose $ when tires wear improperly due to not aligning the vehicle after new tires are mounted. & is that Tire store AAA Approved? Tires from a warehouse store? A tire store? A shop that can't align your vehicle has NO BUSINESS putting tires on it. Ask me why! Best part of our biz: it is a pleasure to have such great customer-friends! Don't U want a Trusted Mechanic that won't rip U off? Don't tell me U go to the Dealer, I know how that's workin out for you & your wallet! Working hard to learn ways my Business can refer itself! OilChange 101-Oil breaks down in thickness, loses ability to lubricate the engine. Changing the oil @recommended times keeps engine alive. U can't compare the old-fashioned service our shop delivers! We still wash your windshield B 4 we pull your car 2 the green curb 4 pick up! We have loyal Customers from Coto de Caza Foothill Ranch Dove Canyon Ladera Ranch Rancho Santa Margarita to Trabuco Canyon! Thank you! Had a dream this morning that someone stole my Harley! Could you hear me crying? Many Happy Oil Changes Today! Do you need one? Happy Monday! June Gloom says: "Sleep in"
A compliment about your kid is more flattering than one about yourself. We have the BESTEST customers EVER! A Dear Customer is in for A PRE-Family Road Trip inspection. UH OH! Worn Tires! Thank Goodness they know to come in BEFORE the trip.